Ardbeg An Oa is the latest addition to Ardbeg core range. It was released in late 2017 and I totally neglected to review it till now. This entry was posted in Whisky Reviews and tagged Ardbeg on April 25, 2018 by Yoav @ Whisky Gospel. Today’s the Last day of Feis Ile 2017 and it’s Ardbeg day, also celebrated in Ardbeg embassies all around in the world. I’ve already reviewed the committee edition of this year Festival bottling, the Kelpie, so let’s go and close it out with a bang, reviewing an indie Ardbeg – a 1991 25 year old Ardbeg, bottled by my friend Nils an Rijn, who’s behind the Dutch shop Best of Wines under the The Duchess brand. A bit of history: Ardbeg were closed since early 1981 until 1989 and then was working a mere two months a year, operated by Laphroaig personnel until the last closure at 1996. That means it’s quite rare to see a bottling from this period as we’re used to post 96 or 70s bottles. Palate: Tar, peat, Lapsang Souchong tea, white pepper, nutmeg and cinnamon, earthy peat is crispier here (comparing to the nose) and is well defined, salt and a touch of farm greenery. Finish: Medium length, lingering wet peat, pepper and Lapsang Souchong tea, salty and mineraly. Thoughts: Oh what a big start to The Duchess line up! Not a big peat monster after all those years and the saltiness and greenery makes it a tad different (and still good) Ardbeg. It’s an expensive whisky, yeah I know. This is what old and rare stuff costs nowadays (although my main gripe is with the lesser stuff that costs a leg and an arm. This entry was posted in Whisky Reviews and tagged Ardbeg on June 3, 2017 by Yoav @ Whisky Gospel. Update: Ardbeg Twenty Something will be released on 2nd November 2017 for Ardbeg Committee members. Price tag: £430. Seems like Ardbeg is preparing a new release for the rich among us. 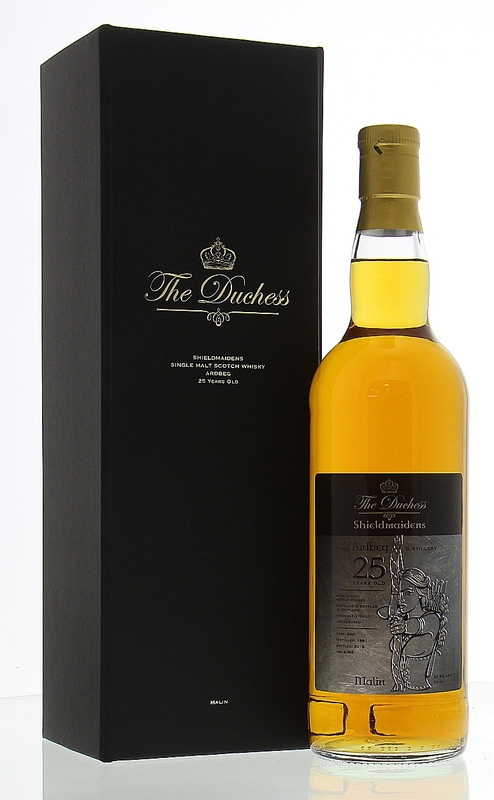 A new label shows they intend to release another whisky from the stock that was distilled prior to the current owners regime (with Ardbeg 21 being the first one). The label states it was bottled in 2017 after being aged for 23 years so it’s a 1993/1994 spirit distilled when Ardbeg was part of Allied distillers. The label hints at a series of releases as the title is Ardbeg Twenty Something so we could (and probably will) see other future releases that carry 2x age statements. Will it be released in time for the next month Feis Ile? Stay tuned. This entry was posted in Industry News and tagged Ardbeg on April 17, 2017 by Yoav @ Whisky Gospel. So many words were written on Ardbeg and the annual Arbeg day releases. Seems like not all is OK in Ardbeg-land as there are dubious marketing failures, continued barrage of NAS releases when it’s mostly relatively young spirit in it and last years’ disappointing release of Perpetuum which for me was the low point of a too quiet 200th anniversary celebrations. This year release is Ardeg Dark Cove and from the beginning we see marketing failure: Darkest Ardbeg ever? Seriously? All those 70’s releases aren’t counted in the list? I felt that Ardbeg invincibility got cracked last year and hoped that Dark Cove (putting the brand marketing failure aside) will set them on the right track. Let’s check if it works or not as I review the Committee release with the higher ABV than the more general release. This entry was posted in Whisky Reviews and tagged Ardbeg on May 27, 2016 by Yoav @ Whisky Gospel. The inevitable has happened and it seems finally that an aged Ardbeg release, at least according to the new label that popped up on the TTB site, will be on shelves later this year. 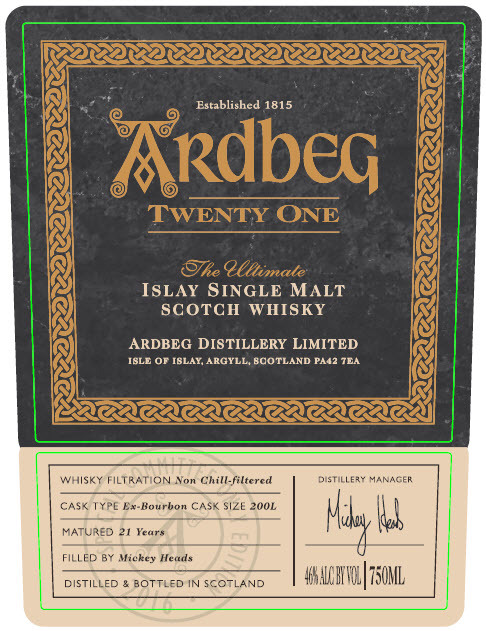 It’s been like forever since we saw a new age statement Ardbeg (especially if you exclude ardbog, aged 10yo but not it wasn’t mentioned on the label) and it makes me giddy with excitement and also fills me with dread from the expected price tag (which I bet will be around the £250-£300 mark). This entry was posted in Opinions and tagged Ardbeg on March 20, 2016 by Yoav @ Whisky Gospel. Following a discussion on Facebook yesterday, I promised a review of Ardbeg Ardbog, the Ardbeg day release from 2013. It’s a vatting of 10 yo Ardbeg spriti from Bourbon and manzanilla sherry casks and I think they got the balance here just right. ‎13000 bottles were produced and even now, 2.5 years after the release, there are still bottles available for purchase. I’m kinda surprised as I think it’s a good whisky! This entry was posted in Whisky Reviews and tagged Ardbeg on December 4, 2015 by Yoav @ Whisky Gospel.